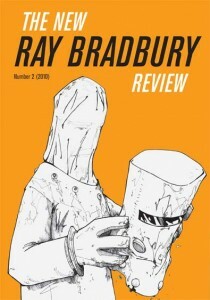 The New Ray Bradbury Review is designed primarily to study the impact of Ray Bradbury’s writings on American culture. It is the central publication of The Center for Ray Bradbury Studies, a newly established archive of Bradbury’s writings located at Indiana University. This review is designed principally to study the impact of Ray Bradbury’s writings on American culture. In this second number, scholars discuss Bradbury’s view of the role of art and aesthetics in our modern technological lives. Included are Bradbury’s correspondence with renowned Renaissance art historian and aesthetician Bernard Berenson, a fragment from Bradbury’s screenplay “The Chrysalis,” a review of Now and Forever, and insightful essays by Jon Eller and Roger Lay.